I missed this month's Fill the Cookie Jar, with everything we had going on. I was going to let it go and jump back in next month. But, when I heard my young foodie friend "Up North" was looking for the cookie of the month, I knew I had to get back to the kitchen! These bars are going to be a house favorite here. 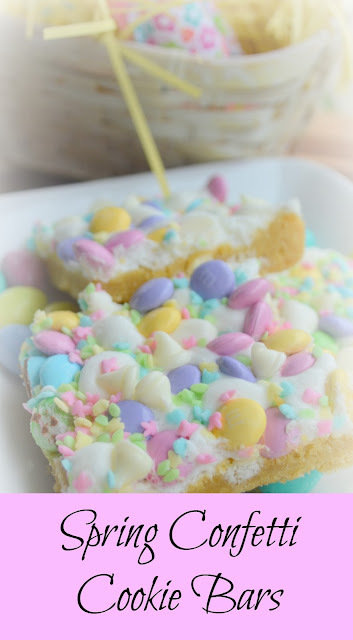 They are perfect for Easter, or any potluck you want to take a fun dessert bar to. You could change this up seasonally with sprinkles and M & M's for whatever the holiday or season is. This is a soft chewy bar topped with the soft layer of puffed marshmallows, your sweet lovers will be asking for one more bar! Preheat oven to 350 degrees. Spray 9x13 pan with cooking spray, set aside. In medium bowl combine flour, baking soda, baking power, cornstarch, and salt. Set aside. In large mixing bowl, combine butter, sugar and brown sugar. Mix until light and creamy. Add egg and vanilla. Mix just until combined. Add dry ingredients, mixing only until combined. Add 1 cup of white chocolate chips, mixing until evenly distributed. Pour mixture into prepared pan. Spread as needed to have mixture even through pan. Bake for 12-13 minutes, or until edges are just turning golden. 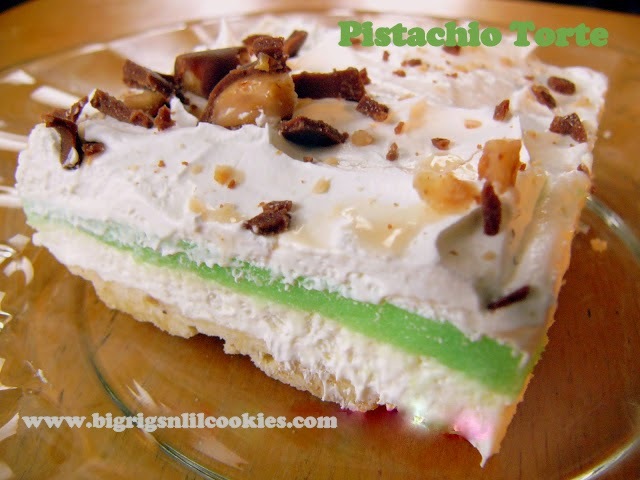 Remove from oven and sprinkle with miniature marshmallows, and then M&M's. Return to oven for 2 to 3 minutes, or until marshmallows are puffed. Removed from oven and sprinkle remaining 1/4 cup white chocolate chips and sprinkles evenly over top. Let cool completely. Cut into bars and store in air tight container. Sweet cookie crust and colourful M&M...a totally irresistible treat! They are irresistible! Just one more sliver is what I keep saying! These look beyond yummy! Thanks for sharing! Oh yes!! They would definitely be a hit with your nice and nephews! These are so sweet and colorful. A perfect treat at the Easter Egg Hunt. Thanks. They would be a perfect for snacking on after the Easter Egg Hunt! I do like a pretty treat and these looks wonderful. Pastel rules, at least at this time of year. :-) Yummy! I will be giving them a try. I saw these on IG and they are so springy and colorful, love the colors. They look so pretty. - Not sure I could handle that much "sweetness" though. What a pretty and delicious looking cookie! I am sure they will be an instant favorite here as well. They have my name written all over them!